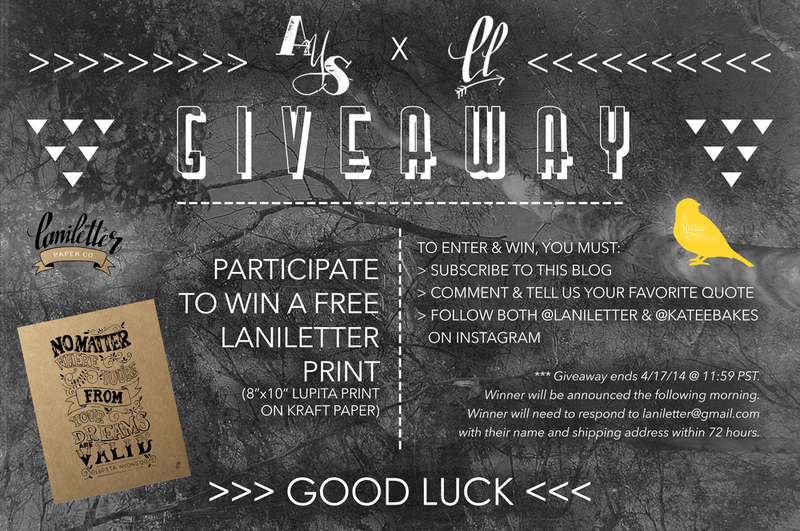 As promised, it's time for a LaniLetter giveaway! In collaboration with A Yellow Sparrow, I will be giving away an 8"x10" Lupita Print on kraft paper to one lucky winner. *** Giveaway ends 4/17/14 @ 11:59 PST. Winner will be announced the following morning.